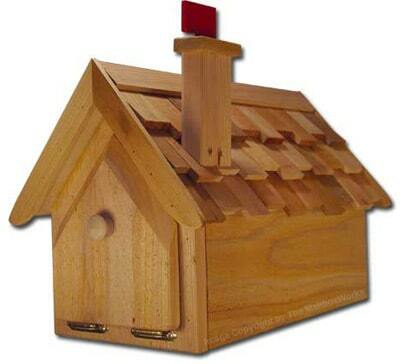 The MailboxWorks carries wooden decorative cedar mailboxes that are designed to live in harmony with nature. You can even order wood cedar posts! 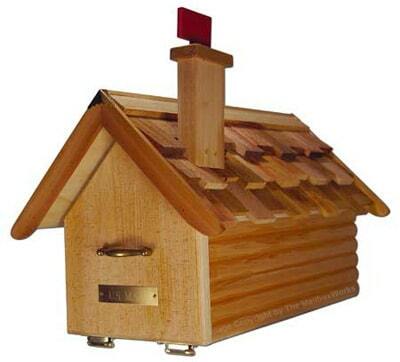 A USPS approved, post mount metal mailbox is at the core of the New England cedar mailboxes; the cedar house of the New England is constructed around the metal mailbox. Galvanized fasteners are used to hold it all together. 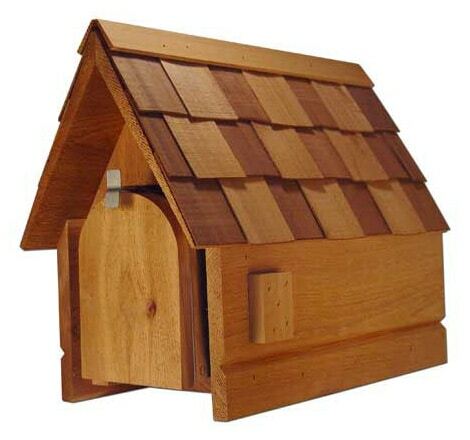 Choose from multiple designs for decorative cedar mailboxes including a Chalet mailbox, a log cabin mailbox, a Deluxe Chalet mailbox, a Mailhouse mailbox, and a New England style cedar house mailbox. 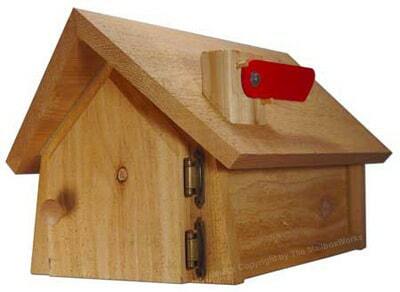 These decorative cedar mailboxes come with an optional cedar post that is available in three designs (Standard, Standard with Newspaper Box, or Deluxe) and arrives complete with post mount mailbox assembly hardware. 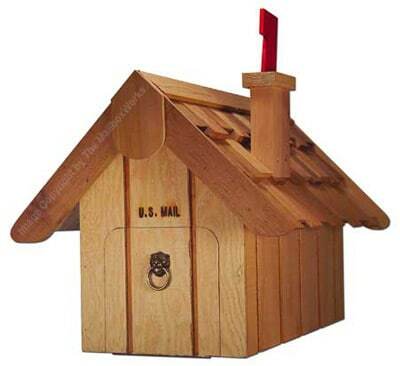 There are several other wooden mailboxes of various designs in our full collection of novelty mailboxes in case you don’t find what you are looking for below. If you need assistance, please call our mailbox experts toll free at 1-866-717-4943.